Enjoy all of the benefits that country living offers while being only minutes from downtown Allentown at Lehigh Square.  From recreational opportunities, relaxation, and convenience, Lehigh Square has it all. Apart from a beautiful location near South Mountain Preserve, we invite you to live more fully with access to our collection of lifestyle amenities. Relax and enjoy more of the abundant sunshine in the courtyard pool area complete with a kiddie pool and expansive sundeck. Ideal for entertaining, enjoy a breath of fresh air at our outdoor grill stations and picnic areas. Call us today to schedule a tour of your future home in Allentown, Pennsylvania.